Reduce your child’s stress by being gentle and comforting. Guns are a hazard to young children. What’s it like to be 41⁄2 years old? The heart of learning is your child’s brain. Emotional intelligence is being aware of feelings. Try 12 tips to get the most out of reading with your child. Single parents can raise well-adjusted children. Beware of over stimulating your child. Early learning programs set the stage for lifetime attitudes toward learning. As a parent, you are concerned about your child’s growth and well-being. It also is important to think about your own growth and well-being. Personal growth as a parent helps you cope with stress and make decisions that will help your child grow and feel loved. Learn about child development so you can parent your child with positive and realistic expectations. Knowledge truly is power when it comes to parenting a young child. Develop a positive approach toward raising your child and look for things to appreciate each day. Develop healthy habits that will carry over to your child —such as speaking in a kind manner, being patient, getting enough rest, and eating well. Deal with conflict in positive ways by talking through problems with your partner and others who are important to you. Increase your social support network. Find others —such as a parenting group, friends or family members —who can give you help, understanding, and advice. Consider your own experiences that might affect your parenting. 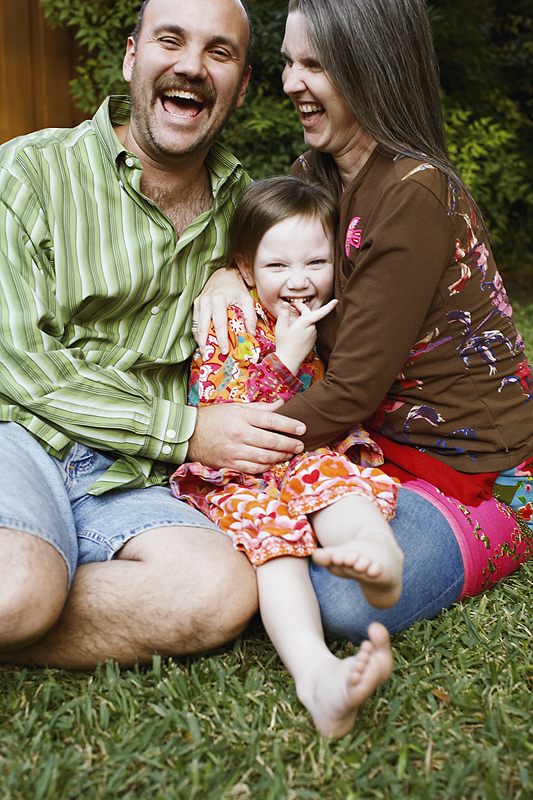 Learn how earlier mistreatment or abuse might be affecting your parenting. Depression can make simple parenting problems seem overwhelming. If you are prone to depression, seek medical help and get social support for dealing with parenting challenges. Read! Find books that help you relax and books that help answer some of your questions about personal development and parenting. Some parents are so concerned with a child’s brain development that they buy expensive educational toys, videos, computers and language tapes. What does research suggest? Save your money. Too many new experiences or too much stimulation can cause stress and hurt a child’s development. Children need freedom to explore on their own terms and not be bombarded with high levels of stimulation — such as watching television or videos. The brain develops through hands on experience during a lifetime, but stress can limit this development. Watch your children’s signals to see when they are feeling overly stressed or stimulated. When you see this, take steps to reduce the stimulation and calm your child. For example, if you gently tickle or play together, what does your child do? Does she stop smiling, laughing, become upset, or turn away? These actions may be signals of overstimulation. Try a gentle hug instead of tickling, or a slower, calmer game. Instead of asking, “How smart are you?” about a child, a much better question to ask would be “How are you smart?” Intelligence comes in different varieties —from athletic ability to musical expression, and people are smart in different ways. Emotional intelligence is a type of social intelligence. It guides our thinking and actions. Fix a variety of foods every day. When your child sees different foods enjoyed by the family, she will eventually get curious enough to try some. Be patient in getting children to like new foods. 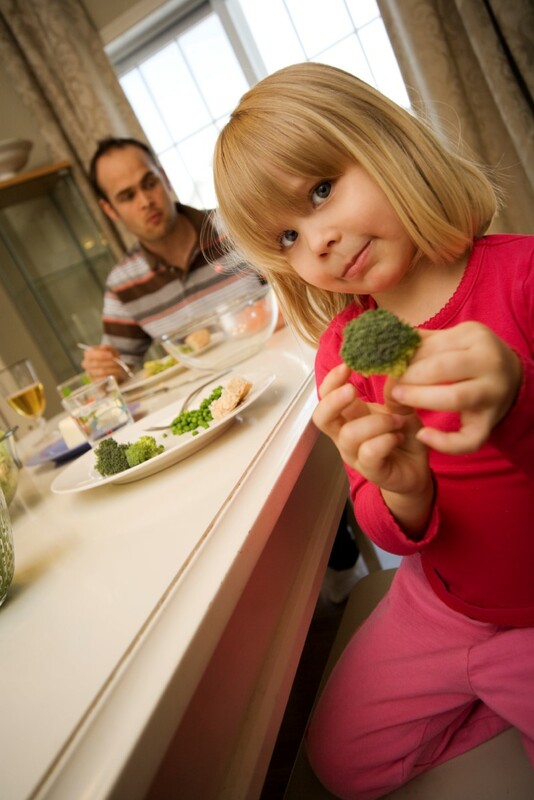 The first time you serve broccoli your child may just look at it. The second time she may look at it and smell it. The third time she might cut it and feel it. Just be sure to keep serving it from time to time and let your little “scientist” make her discovery when she is ready. Have regular meal and snack times that your child can count on. Serve only nutritious foods —so whatever your child chooses she will choose wisely. Keep the empty calorie snacks out of your home. Don’t become a short order cook or a waiter for your child. Plan nutritious, attractive meals and expect that everyone will try new foods at their own pace. Always serve a favorite vegetable, bread or fruit along with new recipes so your child will have something to eat even if she decides not to try the main dish. If it will be a while before dinner is ready and your child is hungry, have a piece of fruit or fresh vegetables to share. Other ideas are soups, salads, fruit kabobs or pretzel sticks and cheese. Include children in growing, buying and preparing food when possible. 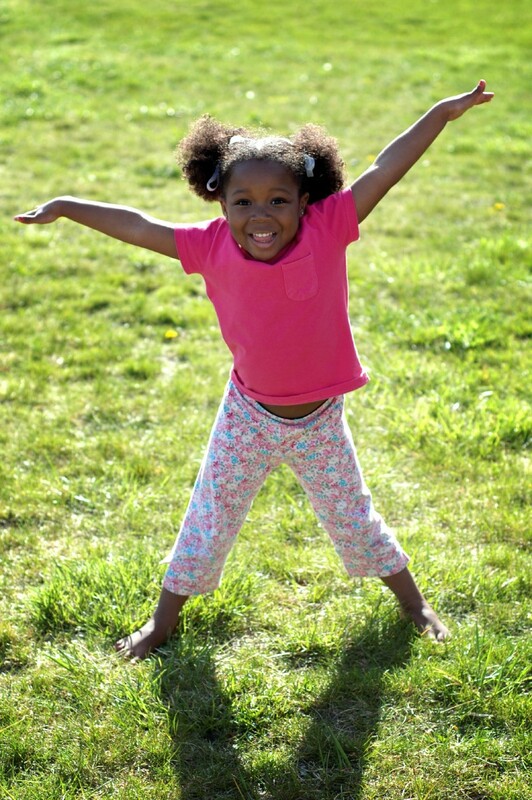 Let your preschooler do as much for herself as she can. Children like separate foods better than mixtures because they can tell what they are eating. Healthy families share family meals. When all members share funny stories and celebrate traditions at mealtime, it creates happy memories. Developing happy mealtimes is much more important than forcing a child to eat her peas. Talk to your child about what happens at school — such as listening to the teacher, going outside to play, playing in groups, taking care of the school’s equipment, and going to the school bathroom. Even though the teacher has probably explained these things, your child may have forgotten. You can go over them again. Keep a positive attitude about school. Your enthusiasm and positive feelings will be contagious. If you have anxiety about the school experience, your child will sense it. Talk to another adult about your feelings and try to work through them so you can be positive about school with your child. Listen. Help your child get in the habit of telling you almost everything that happens in school. You will be better able to spot sources of stress for your child and the window of communication will stay open throughout your child’s school days. Get to know your child’s teacher and the school. 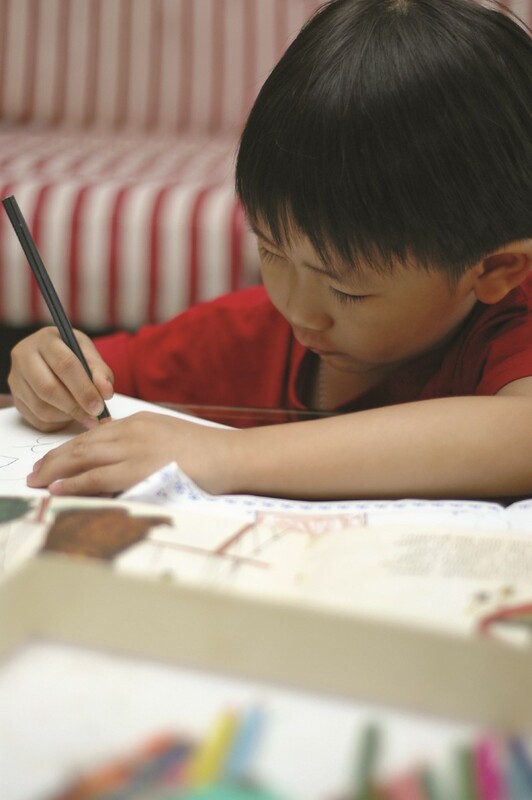 Find out what teaching and learning methods the teacher uses with your preschooler. Provide the teacher with helpful information about your child. Teachers appreciate knowing about habits, likes and dislikes. Set up as many experiences as you can where your child can be successful. You are the best judge of when your child is ready for a new challenge — such as bicycle riding, tree climbing or thinking skills. Encourage your child to try when he is ready. Make sure your child knows it is okay to fail and try again. Sooner or later every child will do something that disappoints the teacher or you — like wetting his pants in school or hitting another child. Any failure or disappointment hurts. Help him handle the situation by talking about what happened and asking how he might prevent what happened in the future. If you are concerned about your child, talk with your child’s teacher. Ask for suggestions for what you can do at home to help. If you have the time and flexibility, offer to help in the classroom for a few hours a week. That way you can see how your child does away from home. Are you raising your children by yourself? You may be a one-parent family due to death, divorce or adoption, or you may never have married. Whatever your situation, you can raise well-adjusted, happy children. Each family is different. Families have different values, goals and ways of doing things. The success of any family depends upon how they deal with life’s challenges. Many single parents realize that they may need help sometimes. They ask family members, neighbors, friends, or teachers for help when they need it. 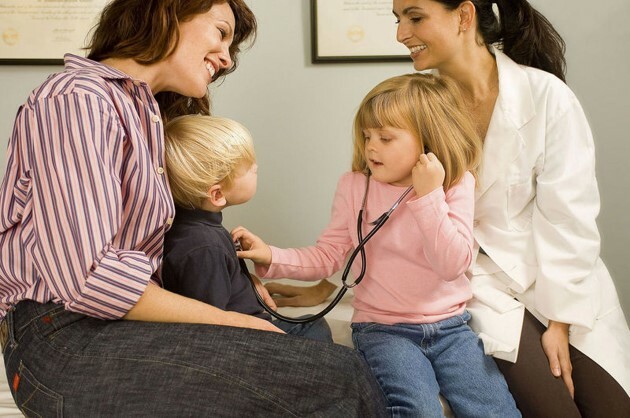 Respond warmly and quickly to your child’s cues for support and attention. Young kids cannot always use words to communicate their needs or wants, but they send signals in the sounds they make, the way they move, facial expressions, or the way they seek or avoid contact. For example, a 4-year old might come running and hold up her arms to be picked up. Children feel secure when parents read these signals and try to respond with sensitivity. By responding warmly and quickly, you are establishing the brain connections that let children trust and explore the world around them. Hold, touch and snuggle with your child. Touch helps children feel secure. Touch is important for young children who need the reassurance that comes from a hug, touch on the hand or “highfive.” Children who do not receive caring, physical touches miss out on the affection that helps them form a sense of trust with others. Hold children on your lap, put your arm around them, hug them several times a day or snuggle with them before bed. Give them the affection they need. Too much stress early in life can harm children. Stress and trauma can cause a release of higher levels of cortisol, a brain chemical. This can destroy brain cells, reduce the number of connections in certain parts of the brain, and cause parts of the brain that control emotions to be smaller than normal. Children who experience high stress or abuse may react to these chemical changes in the brain by showing fear, high arousal and anxiety, and have difficulty being calm and controlled. For example, children who are sick with a fever may become agitated and anxious. 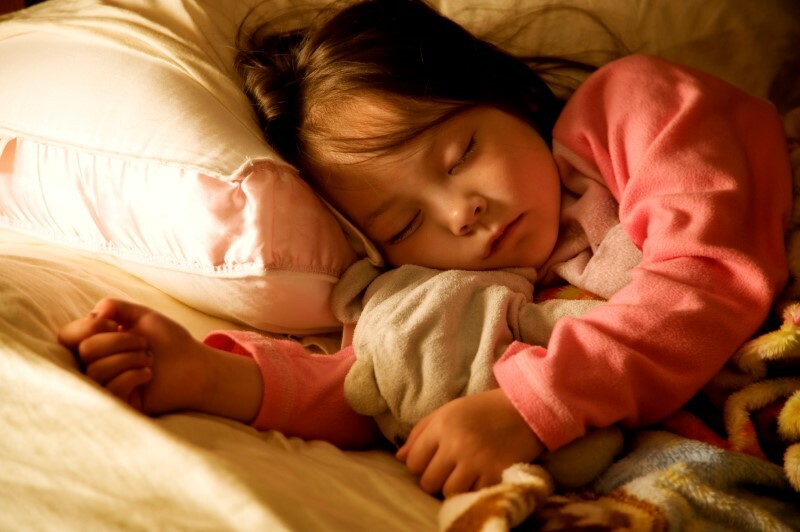 Instead of making them sleep alone, move the children to your own room or next to your bed if necessary and provide medicine, comfort and care as needed. Reassure children that things will be OK and help them feel secure. Caring for a young child takes a lot of time. As a parent, you may find that you have less time to do your own thing. That may include being physically active. Going out for a run or joining in a ball game may be difficult without planning. Regular physical activity is good for you because it increases fitness and can help you look and feel better. Regular exercise is a great way to manage stress. If finding the time to exercise is hard, get exercise equipment you can use at home. Another option is to take turns caring for your child while you and your partner work out. You may find that time alone will make your time together more fun. Maybe you prefer to combine social and physical activities. Taking your child on a walk or bike ride gives you time together. If your partner prefers running and you do not, try cycling at a slower pace and go together. Join other parents in an exercise or walking group. When reading to a young child, choose books with pictures or themes that your child enjoys. Read only as long as your child is interested. Let your child help pick out the book to read. Have your child sit close to you. Talk about the book cover with your child. Ask your child to name or point to something on the page. Read slowly enough for your child to ask questions and chime in. Ask “what, when, why and how” questions. Change your voice — like soft or loud — while reading. Help your child learn new words and names for things. Ask your child to guess what happens next. Help your child connect things in the story to real life. At the end of the book, ask your child what happened. Let your child tell the story or pretend to read. Have a regular time to read books with your child. Have fun and enjoy reading — so your child can fall in love with books and the idea of reading. When parents read aloud with their preschoolers, their children learn new words. Children who are read to have a head start to being great readers in school. Firearms cause childhood injuries and death. If you have guns, keep them unloaded and under lock and key. Lock up ammunition in a separate place and teach children that firearms are not toys. Never let young children play with shooting toys – such as BB guns, darts, or anything that explodes. I can walk up and down stairs without help, alternating my feet. I can bounce a large ball. I can print a few capital letters. I can put on my shoes and socks. I like to set and clear the table. I play and interact with other children. I can talk well on the telephone. I am able to talk about my anger. My individuality and lasting traits are becoming more apparent. I sometimes fear monsters or other fantasy things. I point to and name four to six colors. I match pictures of familiar objects. I draw, name, and describe pictures. I like to look at the pictures in books. I can find things that are alike and different in pictures. I listen to long stories, but may mix up the facts.